"It is not inertia alone that is responsible for human relationships repeating themselves from case to case, indescribably monotonous and unrenewed: it is shyness before any sort of new, unforeseeable experience with which one does not think oneself able to cope. But only someone who is ready for everything, who excludes nothing, not even the most enigmatical will live the relation to another as something alive." This is my current favorite quote from Rainer Maria Rilke. 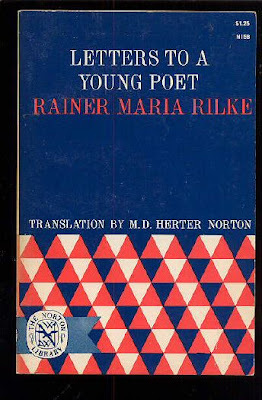 I just ordered Letters to a Young Poet and Rilke on Love and Other Difficulties: Translations and Considerations on Amazon.com. I can't wait for their arrival.